How do you understand this news report? I'm not sure where the annexation is heading at this point? I wonder what Mr Cooper would think of annexation. Did he see the incorporation of CV? Cooper could not acquire all the land. If you notice all the blank white areas on the local maps that king-Rhodes hands out, those are all parcels that cooper could not purchase for various reasons. Interesting history on some of those stories. I was surprised by the list of annexation beyond Cherokee Acres. I hadn't been aware that there was additional land Mr. Cooper had not been able to acquire. They appear to be small parcels. I am struck by the recent level of annexation of other areas. If you go to page 7 of the link of ordinances below you can see the activity over the last couple of years. And here is a news article on the City Council annexation meeting of Big Oak Estates in 2009. I'm not getting too worked up over the animal shelter. Theres a few who want to do good but its true folk from outside dump animals inside the limits. Welcome Grady, the debt issue was in the Villager Journal this past week. They reported on the CV financial task force meeting where it was stated that the budget was $400k over budget and talked about closing the animal shelter, laying off employees raising taxes or creating a A/P tax. Welcome Grady. A lot of folks read this Forum from all over, so I thought we should give this discussion some context. I've got a tax bill right in front of me. On a standard lot assessment of $150 not even $1.50 is City tax -- both Village and Street combined. As our new friend from Indiana suggests, relative to most any place I've ever been the return on this level of taxes in actual services is huge. i dont think we need city either. just another racket to throw my money down the drain. the animal shelter has people coming from miles to drop their unwanted varmints on the taxpayers of cherokee. im telling you i dont spend nearly anything in taxes here like i did in indiana but i like to stay as low as possible. now trout how and where do you know this figure of 400,000 in the red. how comei didnt hear of it? when did they release that? i think i need to go to some city council meetings. LE stats can be and have been used in many ways. Sometimes used to get extra monies and other times to show that we are working hard and crime is going down. Depends on what you call a crime and how it is submitted. Interesting comments on how stats come to be on crime. It seems that there is a good bit of discretion in how things get categorized. All I can say about your other comment is that I've lived in real "good ole boy" towns before and CV doesn't feel even close unless I'm seriously missing something. Batesvilles contracts with the Independence county SO for police services. CV could do the same thing with SCSO. Also crime has increase in the village since I purchase in 1998. But that could be from what we call Police Funding. Crime creation is not new. If you look back to the creation of the city. The city court was created before the police department and was to collect fines for funding. Law enforcement is a money making function. Notice the number of city charges compared to state charges. The city gets the money on city charges. Also can someone explain why so many CV police cars are seen outside of their area when they should be patroling within the city limits. This department reminds me of the good ole boy system more than any I have seen. Also while we are on contracting out. The road department would be one area that could save money or use the savings to get more road work done. Two questions: 1) Do you have a sense of before and after City crime stats? Were there more property crimes before City due to the lack of routine patrol? 2) What would make contracting out cheaper? In my experience elsewhere, it doesn't. What one saves in employee benefits is taken up by the profit margin needed by the contractor. Paul the CV people in Fulton county wanted a city and created a "white paper" that made everyone believe life would be better and more money would roll in from the State/Fed. As you can see we now have a property/personal property tax which we never had and we are $400k or more in the red. So just where have we prospered. This debate could be endless so I will just say we would be better off without additional piece of government and if we must continue to have a city then lets contract out as much as we can to reduce cost. Let me ask a question that is not intended to be a wise remark but an honest question. If all was working very well with SID alone, why did enough folks want a City government to make it happen? My sense is that the Village simply grew to the point that the change made sense. Again, I see these two "branches" of government to work well together. It is important to remember that SID is a form of Government created by the State. It is not a private entity. Paul Sid never got us in debt like this. They pro vided the basic services that we allwere aware of when we moved here before the city. Now look at what your city has done and for what, little code enforcement, dog shelter, some road improvements for the selected group come on SID could have done all that if we had let them really know what concerned us most. I bet SID is laughing their a off at how the city is run. If you want a city then put a manager in place that knows how to keep a budget. Maybe they need to look into zero budgeting. Contract out as much as you can to reduce costs. This is not good for helping to promote the city. When will they ever learn. You and I like to bang heads on this one. I have respect for SID and have nothing against the concept. However, it doesn't get said that SID is an unelected and self-appointing body. The City is the needed democratic counter-balance. I also believe that the actual level of police and other services needed require the City. Why did we annex them when the city budget is over $400,000 out of line. Did y'all see that in the Journal this week. All city government has done for us is create a city and personal property tax and spend all the money they have gotten from SID and fines and put us in debt. We have got gained but have lost since we became a city. If you look at the really big picture SID provided us with protection, fire and security, roads and parks at a very reasonable price. Yes SID could have been better but maybe that was our fault for not working closer with them in showing what we needed and wanted. The city comes in spends like a a drunk sailor and now we are in debt. We could bid out all road work, (reduce costs of employment, equipment and maintainance, the Sheriff Office would provide only with SID security, thus deleting the PD and courts, the fire department is SID to begin with. The parks are SID. An the animal shelter is a big cost according to the mayor and alderman. So lets see the alderman vote in giving up the charter and return to only SID and county government.Or contract out all road and police functions and all alderman and mayor return their salaries and benefits since their positions are part time. Let SID return to providing fire protection. An then unannex CA before it adds to the city debt problem. Pretty simple solution. Should have never become a city all they do is create more problems and costs. The cynical side of me and the reasoning side of me says, "Look out CV, lawsuit is a coming!" I'm thinking if I was a PO in CA, I'd be thinking that about now and probably would have already had it in the works. 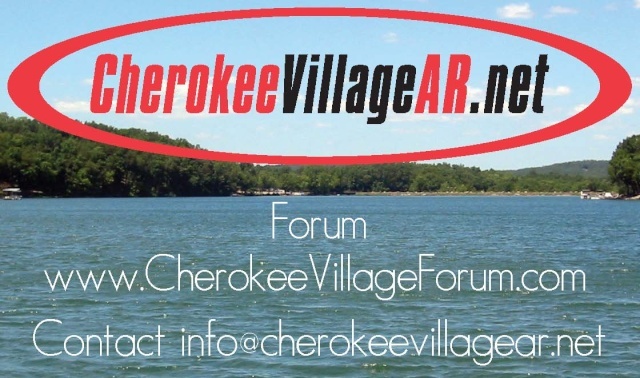 It is my understanding that the annexation of Cherokee Acres into Cherokee Village was approved. I am wondering how the issue of taxes and lot assessments have been handled. The lots up there are quite large compared to your standard CV lot. Were any concessions made of the tax/SID assessment level? The issue has been voted on. Only one voted no, everybody else voted yes to annex. Cherokee Acres will be annexed. The Cherokee Acres residents did not want this. I suspect a legal fight is coming? Who knows. Stay tuned. Guess that I'll ask again. Has anything happened recently on this annexation issue? Any news on the City Council meeting on this matter?